This week brought another decision from United States Magistrate Judge Andrew J. Peck (S.D.N.Y.) on Predictive Coding or Technology Assisted Review (TAR). Judge Peck, well-known for his judicial thought leadership on this topic, authored the now famous, pro-TAR Da Silva Moore Decision in February of 2012. Da Silva Moore v. Publicis Group & MSL Grp., 287 F.R.D. 182 (S.D.N.Y. 2012), aff'd, 2012 WL 1446534 (S.D.N.Y. Apr. 26, 2012). 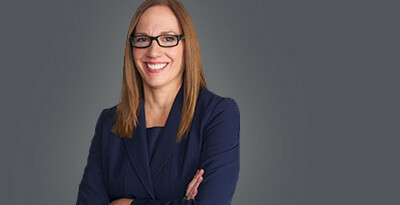 In that decision, Judge Peck stated, "What the Bar should take away from this Opinion is that computer-assisted review is an available tool and should be seriously considered for use in large-data-volume cases where it may save the producing party (or both parties) significant amounts of legal fees in document review." Now, three years later, Judge Peck is at it again in Rio Tinto PLC v. Vale S.A., Case No. 14 Civ. 3042 (Mar. 3, 2015 S.D.N.Y.). In Rio Tinto, Judge Peck reflects that, in the time since Da Silva Moore, it has become "black letter law" that courts will permit producing parties to use TAR for document review. His decision cites numerous decisions from courts around the country that have approved of the use of technologies like predictive coding to determine the relevant documents for production and thereby reduce the burdens of e-discovery. Judge Peck identifies, in Rio Tinto, that a key issue practitioners, parties and courts are still struggling with is "how transparent and cooperative the parties need to be with respect to the seed or training set(s)." For example, some courts have required the party that utilizes predictive coding to provide full access to the seed set's non-privileged documents, so the integrity of the training may be assessed. In Da Silva Moore, Judge Peck had encouraged the sharing of such information. However, as technologies advance to continuous active learning, the seed set plays a less significant role in the overall operation, and disclosure of the seed set may not provide meaningful information. As a result, the industry may need to consider other methods of verifying the integrity of the process where cooperation breaks down. However, Judge Peck stresses, "It is inappropriate to hold TAR to a higher standard than keywords or manual review." The TAR protocol at issue in Rio Tinto was agreed upon by the parties, and it is attached to the decision. The decision, along with its attached stipulation and order re: Use Of Predictive Coding In Discovery and a joint letter to the court by the parties further explaining the agreed-upon protocol, can be found here.